This summer, 50 students from the USC Price School of Public Policy went abroad as part of three annual international labs held in China, Brazil, Italy and a new opportunity called “USC Price on the Rhine” held in Germany. Through these experiences, the students tackled local issues with global relevance — ranging from droughts to elder care. Focusing on the topic of elder care, students in the China lab delivered an 85-page report in both English and Mandarin. 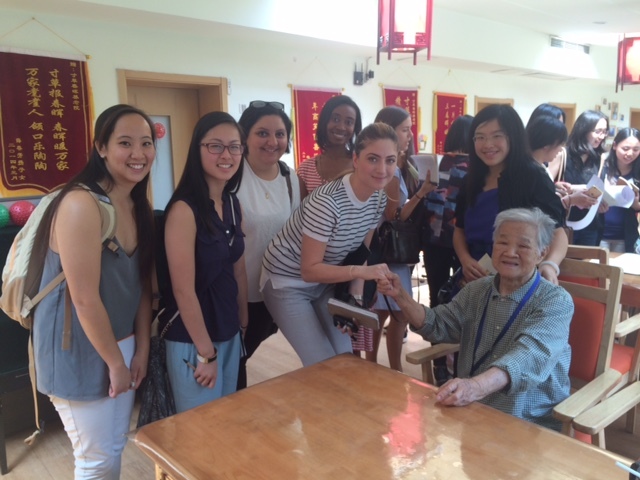 Nineteen master’s students ventured to Beijing to address an issue affecting multiple countries: elder care. The students provided consulting services to Taikang Life Insurance Company Limited, which recently opened one of China’s first Continuing Care Retirement Communities (CCRC), a senior facility that allows residents to age in place by having access to all levels of care, from independent living through skilled nursing. Within the next eight years, Taikang plans to invest in eight to 10 more CCRCs in Shanghai, Guangzhou and elsewhere to address the needs of a country with the world’s largest population over the age of 60 — approximately 200 million people. Under the guidance of Professor Mike Nichol, USC Price’s interim vice dean for faculty affairs and director of graduate programs in health, the students drew from U.S. and Chinese case studies to offer recommendations about operational management, social integration and marketing campaigns. They also spent several days visiting facilities in China, including hospitals, rehabilitation centers, independent living homes and nursing homes. The complex project drew domestic and international students from several different master’s programs at USC Price’s Los Angeles and Sacramento campuses. The students delivered an 85-page written report with an executive summary in both English and Mandarin, and a one-hour oral presentation in Mandarin introducing a model called Taikang Connect. The students also made several other key recommendations, ranging from increasing staff quality by offering certified nursing assistant training programs to keeping residents healthy by promoting preventive health care. Through this international consulting experience, the students greatly enhanced their understanding of an important issue in both the U.S. and China. “Developing a plan for addressing this policy and governance challenge will be vital to both China and the United States, and I take pride that – in our small way – our Price class has made a valuable contribution to this effort,” said Dodgen. With half of the USC Price students fluent in Mandarin, the group enjoyed an insider’s experience of Beijing and its surroundings, visiting historic sites such as the Forbidden City. Nine USC Price master’s students tackled a topic with equal relevance to California and Brazil. 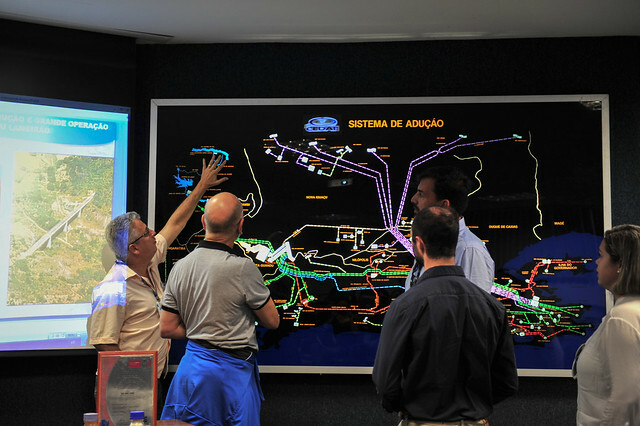 In cooperation with the International Directorate of the Getulio Vargas Foundation, the students examined industrial water reuse policy options for the State Institute for the Environment (INEA) of the Secretariat for the Environment in the State of Rio de Janeiro. According to Professor Eric J. Heikkila, director of international initiatives at USC Price, INEA knew exactly what it wanted, and the students in his lab were up to the challenge. They produced not only a written report and oral presentation, but also an illustrated summary of their findings and a video. Based on case studies of other drought-prone regions including California, the students recommended launching a public water conservation awareness campaign; creating an industrial water recycling task force; establishing water reuse mandates; defining criteria for monitoring, reporting and enforcing measures; and formulating pricing and quality standards supported by incentives. MPA student Vincent Pla valued the opportunity to take on a real-world international consulting job. During the farewell dinner, the client gave the students an ardent endorsement of the quality of their work, which is now featured on INEA’s website. Master’s students from Los Angeles and Sacramento took part in the Milan lab, which addressed procurement and public-private partnerships. In Milan, Italy, 14 USC master’s students put theory into practice by providing consulting services on the topics of procurement and public-private partnerships — two important tools for public management throughout the world. To guide the students, Professor Elizabeth Graddy partnered with Professor Veronica Vecchi from the SDA Bocconi University School of Management. “The partnership that we had with Bocconi University is very important, because they identified the clients and provided quite a bit of subject matter expertise to help us,” said Graddy, who serves as USC’s vice provost for academic and faculty affairs and holds the Jeffrey J. Miller Chair in Government, Business, and the Economy at Price. One project addressed how to improve public procurement systems for the client ARCA, the regional procurement body for Lombardy, Italy. The students made recommendations about which types of goods and services should be purchased regionally versus municipally. They also explored how ARCA could develop trust between the central regional body and the municipalities. As the public financial arm of the Lombardy region, the client Finlombarda requested a written report and oral presentation about the role of public-private partnerships in helping local governments fund sports facilities and schools. A team of seven students presented case studies and recommendations about potential types of partnership arrangements. “The head of Finlombarda said he was excited because they had come up with some cases that he had not encountered and some ideas that he thought were quite plausible for them to use,” Graddy said. As a member of the Finlombarda team, MPA student Alex Nguyen appreciated how the experience prepared him for future professional endeavors spanning the public and private sectors. The students also enjoyed taking in Italian culture and activities, which included attending the Milano Expo showcasing sustainable food and agriculture from nearly 150 countries. The “USC Price on the Rhine” program gave USC undergraduate students the opportunity to learn from expert faculty from Speyer University in Germany. Led by Assistant Professor Bill Resh, the “USC Price on the Rhine” program offered 22 undergraduate and graduate students from USC and other universities lessons in comparative public administration and policy with a focus on the United States, Germany and the European Union (EU). 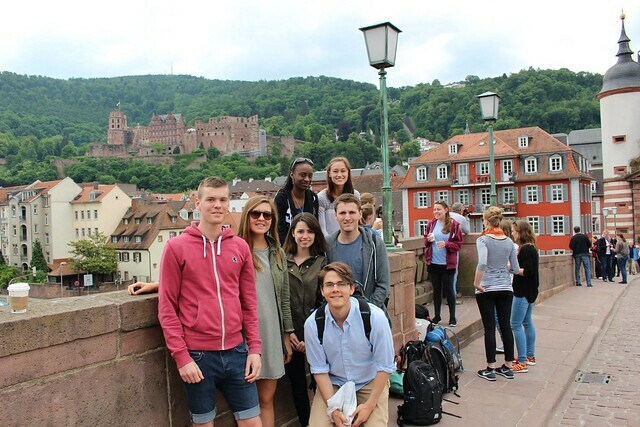 Hosted by Germany’s Speyer University, the five-week program included excursions to key sites such the European Parliamentin Strasbourg, France, EU institutions in Brussels, Belgium, the European Central Bank in Frankfurt, Germany, and the historic city of Heidelberg, Germany. Students attended seminars by Resh as well as renowned professors from Speyer University. The program is comprised of five seminars, including comparative public administration, multi-level policy making, European economic integration, comparative constitutional law, and a case study on the EU and its neighbors. At the end of the five weeks, each undergraduate produced one seminar paper, and each master’s student produced two seminar papers, taking a comparative approach to topics covering regulatory agencies to legislative oversight. To further enhance the experience, USC students lived side by side with European students in dorms at Speyer University. 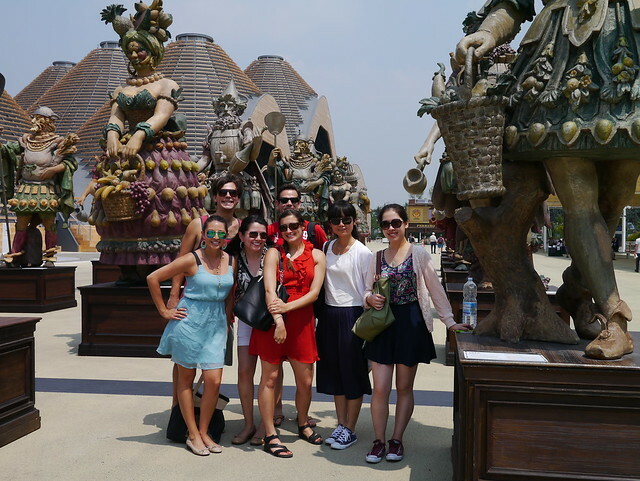 This enabled them to quickly immerse themselves in local culture and customs, while also having enough free time to explore other places of interest. For more information on the USC Price on the Rhine program, visit www.uscontherhine.com.